Years after the fact, Stan Lee Media Inc. is finally going to get its chance to sue comics legend Stan Lee for improperly transferring rights to his characters. In an attempt to wrangle back control of many of Lee's characters, Stan Lee Media Inc. has submitted a complaint to the court, claiming to be the rightful owner of the characters currently controlled by Marvel. The trouble started in 1998, which is when Stan Lee Media Inc. claims Lee transferred ownership of his characters to his company. When the company declared bankruptcy in 2000 Lee moved ownership from it to his other companies, POW! Entertainment and QED Productions. Eventually, the characters ended up in Marvel's (and by extension, Disney's) hands due to a settlement between Marvel and Lee, and have been there for several years. Marvel has made several movies using the contested characters so losing them would be a heavy blow to the company. And it is here that the tangled web of lawsuits and bankruptcies gets confusing. 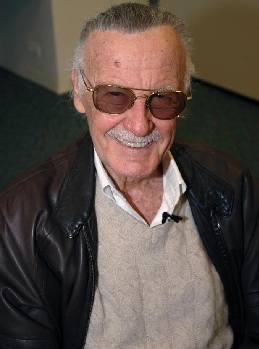 Stan Lee Media Inc. was originally a subsidiary of Stan Lee Media (no Inc.), which went bankrupt. Stan Lee Media Inc. argues that all property rights then transferred to the subsidiary company, including the characters signed over by Stan Lee himself in 1998 that were moved to POW! Entertainment, QED Productions, and Marvel. It also contends that Lee signed over all his characters, not just those he created while at Stan Lee Media, and so the characters Marvel currently owns are also at risk. Finally, after years of bickering, failed lawsuits, and bankruptcies, Stan Lee Media Inc. has gotten the go-ahead from California Federal Judge Stephen Wilson to pursue a lawsuit against Stan Lee, POW! Entertainment, and QED Productions. Oddly, Marvel (and parent company Disney) have been left out of the list of defendants in the suit. I guess I wouldn't want to have to contend with Disney's lawyers, either.